Vibrant color. Creamy matte. Ultra hydrating. Now finding your perfect shade of bold is easier than ever. Color Sensational® The Loaded Bolds Lipstick is rated 3.8 out of 5 by 65. Beyond bold, it’s sensational. 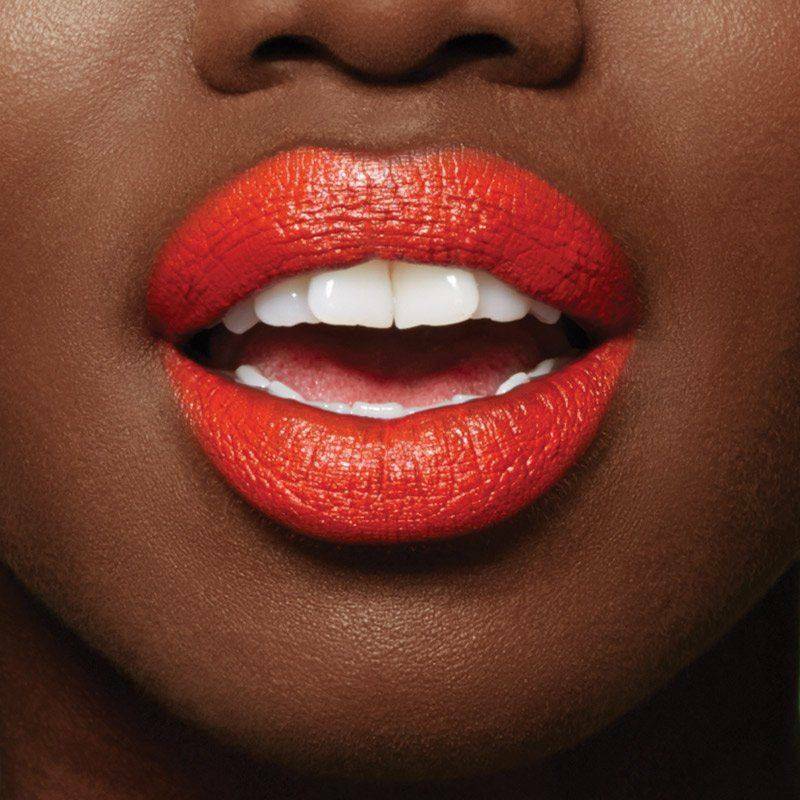 Achieve high-impact color in one saturated stroke with Maybelline’s The Loaded Bolds lipstick. Color Sensational® Loaded Bolds Lipstick. Maybelline’s creamy lip color is available in a collection of full-spectrum shades from jet black to bright white. Hypercolor pigments and an opaque, creamy clay base deliver one-stroke intensity. Sumptuous honey nectar leaves a creamy finish. Maybelline’s Color Sensational The Loaded Bolds is available in a range of pigment-loaded shades from deep plums and electric blues to vibrant reds and natural nudes. Dermatologist tested. Allergy tested. It only takes a single-stroke of color intensity to break the mold. Get ready to defy convention with our new Loaded Bolds lipsticks. Defy expectations with a single-stroke of bold, head turning color. Learn how to make your lips pop in purple. Up your color game with a bold, blue lip. Rock a black lip — day or night. Get fierce red lips in a flash. A pop of orange is bold enough to stop traffic and turn heads. Get ready to shock and awe with this vibrant shade. Surprise yourself with a single-stroke of blue. Play it up, or tone it down, to match whatever mood you’re in. This isn’t your mama’s red lipstick. Say hello to a new twist on classic red lips with this fierce shade. Rated 5 out of 5 by LittleSinger713 from Excellent coverage/pigment! I wanted a darker red that I could wear on stage and on the street, and this exceeded my expectations. It doesn't take much to apply it and it doesn't just rub off easily. It feels really creamy when applying it. I'd definitely buy it again. Rated 4 out of 5 by Samlamg from Very pigmented! Bought Gone Greige for a wedding last month and I've worn it a few times a week since. Absolutley in love! Rated 5 out of 5 by PacificladySF from Midnight Merlot is GONE?! I’ve worn 790 Midnight Merlot for 2 years, and cannot go one week without getting complimented on it. It looks amazingly lustrous on brown skin, and I have full lips; women constantly ask what it is, and all genders say it immediately draws their eyes to my mouth. So WHERE has 790 gone, and WHY has it disappeared from Bay Area stores?? 790 was a signature part of my look, why are CVS, Walgreens, and Targets anywhere no longer replacing it? I need 790 to come back real quick. Rated 1 out of 5 by amc0420 from Does not stick.. I purchased Serpentine today in the store and was super excited to wear it, but all that it did was slide right off... I'll just have to find a liquid I guess. Such a waste of money. Rated 5 out of 5 by queenshaboo from All day lipstick for me I got the gunmetal gray and was pleasantly surprised by the texture and feel. It does take 2-3 passes to build up the colour but it's truly matte and lasted all day, requiring only a very minor touch up after lunch. I even had an ice cream sundae and afterwards just had to rub my lips together a little to maintain without having to reapply. Was a bit drying but not as much as most other mattes I've tried and is a great alternative to liquid lipstick which I like but is so drying I feel like it mummifies my lips. All in all a great lippie, just wish there were more dark colours like a black red or black purple similar to Kat von D's Vampira or even a dark grayish purple. Rated 5 out of 5 by AmarantaYuuki from Awesome Colors I absolutely love the color selections for the Bolds. They don't seem to wear as well as the Metallics, needing semi-regular retouching, but look great and blend well. The orange especially does not last but is my favorite color that I have gotten so far nonetheless. Rated 5 out of 5 by edgyjesus from Favorite lipstick I bought this a whole ago in the shade Dynamite Red 800 and it's amazing. The color payoff is fantastic and the application goes on smoothly. Why did you discontinue So Sienna (#125) Super Stay 24 color lipstick? I dislike you new colors. I will never purchase your brand again. Going back to Revlon. So disappointed! Hello! We are sorry that you are upset with our decision to discontinue this shade. As consumers ourselves we understand how frustrating it can be to no longer be able to purchase our favorite products. We will surely pass your feedback along to our team so they can consider this. Thank you for your interest in Maybelline! What shade of lipstick replaced 295 Bronze? I would like to have a color as close as possible to the Bronze shade. Hi there! Unfortunately, the shade 296 in our Color Sensational Lipstick has been discontinued. Although we do not have an exact replacement, we would recommend taking a look at shade 560 Raw Chocolate in our Color Sensational Inti-Matte Nudes. You can view the shade here: https://www.maybelline.com/lip-makeup/lipstick/color-sensational-inti-matte-nudes/raw-chocolate. We hope this helps! Is that made in china? Cause it wrote made in china on the package or did I bought replica? Hello there! You have reached the US Maybelline page. We want to assure you that Maybelline, a brand of the L'Or&eacute;al Group is committed to upholding the highest standards of safety and quality for all the products it makes and sells. Each and every ingredient used in our products, regardless of the country of origin, has been thoroughly reviewed and tested by our internal safety team made up of toxicologists, clinicians, pharmacists and physicians. We manufacture many products in the United States. Globally, the L&rsquo;Oreal Group has 40 factories and manufactures finished products around the world. We hope this helps!